The University College London (UCL) is a public institution located in London, United Kingdom. It was founded in 1826 as London University and was the first university to have been founded in London, United Kingdom as well as being the only fully secular university, accepting all students regardless of their religion or nationality. By 1878, it was also the first and only university to include women and men as students in equal terms. Today, the university is a full time member of the Russell group, and houses over 7,000 members of academic staff and approximately 37,900 actively enrolled students. UCL consists of 11 faculties which are; Arts & Humanities, Built Environment, Brain Sciences, Engineering, Education, Law, Life Sciences, Math and Physics Studies, Medical Sciences, Population Health Sciences, Social and Historical Sciences. The University is known for its considerable participation in research, where 29 Nobel prizes were awarded to UCL’s students and teachers alike. UCL is also a very international university, housing students that come from over 150 countries, which consists of over a third of the university’s student population. According to the rankings at times higher education, the university currently ranks as the 5th best university in arts and humanities, 12th Life Sciences, 12th in clinical health, 36th in engineering and technology, 18th in Computer Science studies, 17th in Social Sciences, 8th in Law and 2nd in Psychology and an overall worldwide ranking of 16th best university. This demonstrates that UCL is a very competent university particularly in Arts and Humanities, Law, Psychology, Life Sciences and Clinical Health. When students are looking for a university, UCL should definitely be considered especially when arts and humanities, Law, Psychology, Life Sciences and Clinical Health are concerned, since the university rivals major big universities in these subjects such as Trinity College in Arts and Humanities or the University of Toronto in Law. Needless to say, if a student is looking for a different major and wants to study particularly in London, then they should still consider UCL as it is one of United Kingdom’s best universities based on research, performance and excellence. The student will as a result have the best of the best education due to the university having excellent state of the art professors, a very fluid educational system and facilities that are so helpful that the student won’t have any issues settling in and getting accustomed to the education. It is also worth mentioning that students will achieve a lot in the future since the degrees awarded by UCL are considered to be very prestigious, where many companies in the UK value students who have studied in UCL due to how prestigious and famous the college is, as well as the fact that the university’s education is so good meaning the students will find jobs much easier than an average university student, as well as be able to settle in the jobs easier due to all the knowledge they acquired at UCL. Sports form a big part of UCL, where according to their official site; the university boasts 73 sports clubs with over 5,000 members. All sports clubs offer activities for everyone regardless of ability, everyone can participate no matter how good or bad their skills are. According to the information in their official site, UCL is one of the largest universities in the United Kingdom due to the vast competition with the British Universities & Colleges Sport (BUCS) and London Universities Sports Leagues (LUSL) university members. Student life in UCL is also very active. Students form unions and clubs to participate in brainstorming activities, revise for exams or in general, to unite them in order to discuss or combat a certain issue or debate. The admission requirements for UCL are generally very tough. Depending on the course, students are expected to have obtained either 3 A*’s in all their subjects to receive a conditional offer or at least two A’s and one B in A levels just to be considered for a place. A student that gets less than two A’s and one B in their A2 examinations will be liable to have their application request rejected. AS level grades are no longer necessary and are not a requirement. The very same can be said for students taking IB, where it is imperative for the student to have acquired at least 34 points overall in order to be considered for a place at UCL. Results higher than 34 points will give a very good chance for the student to receive an offer. The students will be required to have an interview with the university. If the student gives a good impression, they will receive a conditional offer allowing them to become a student so long as the conditional offer grade requirements are met. Finally, once the offer becomes unconditional, the student will be required to send their identification documents, medical documents and other additional documents the university may request them. All UK, EU and Overseas tuition fees are paid annually. 1. UCL was founded in 1826 to open up university education in England to those who had been excluded from it.2. UCL is ranked seventh in the world’s top ten universities by the QS World University Rankings (2018). 3. In 1878, UCL became the first university in England to admit women students on equal terms with men; in 2016-17, 58% of students at UCL identified as women. 4. UCL prides itself on being London’s global university. Students from 150 countries study at here, making up more than one-third of the student body. 5. 53% of the nearly 39,500-strong student community is engaged in graduate studies. 6. UCL is the top-rated university in the UK for research strength (Research Excellence Framework 2014), by a measure of average research score multiplied by staff numbers submitted. 7. UCL is associated with several major teaching hospitals – such as the Great Ormond Street Hospital for Children, the Royal Free Hospital, and Moorfields Eye Hospital – which provide Londoners with first-rate healthcare and contribute to major advances in medical research. 8. Nobel Prizes have been awarded to 29 people who are or were students or academics at UCL. 11 UCL Honorary Graduates and Fellows have also been awarded a Nobel Prize. 9. UCL alumni have achieved outstanding success in a range of diverse fields – take a look and see how many famous names you recognise! 10. It’s not just the people at UCL who are famous – the buildings are often used in filming, for example, the Front Quad was used as a model for ancient Rome in Gladiator? Batman Begins features the DMS Watson library as ‘Gotham Print Room’, and the Thomas Lewis room in the Rockefeller Building was the setting for the courtroom scene. Perhaps most famously of all, scenes from Inception were shot in the Front Quad, a lecture theatre, and the main library. The capital city of the UK, London is full of surprises. London is a beautiful city full of wonders. You will be amazed by the sheer amount of tourists and overseas people in London up to the point where you might end up wondering if you have set foot to England or not. You will find many nationalities in London such as Arabs, Russians, Chinese, Japanese, German, Spanish, Italian, French, etc. You will also be surprised by how polite British people are, even if they are not trying to be. This is because Britain is has a very polite culture where manners are taken seriously by the people. The city is very busy the whole duration in a typical weekday. You will find many people enjoying a multitude of activities such as spending times in clubs, sports, art unions, language classes and many more! 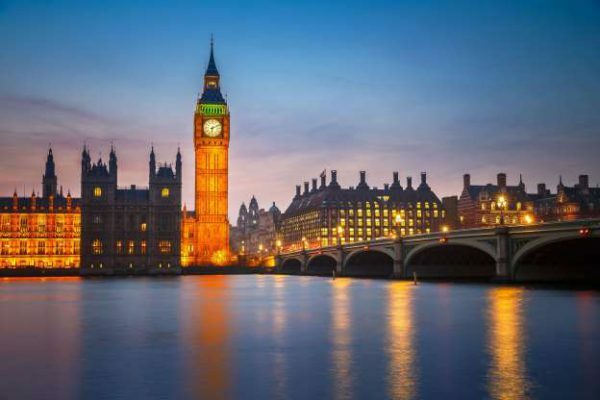 London is a city where everyone manages to settle in, the locals treat you as if you are one of their own and the fact that the city is so multicultural means that you will soon feel as if the city has become your second home. The largest bell clock tower of London. It weighs 13.7 tons standing at 315 meters tall, this tower symbolizes London and its culture. The clock tower has become so symbolic it became a UNESCO World Heritage Site by the year 1987. London’s largest and most symbolic Observation Ferris Wheel. It’s not only the largest tower in London, but in the whole of Europe as well! The observation wheel is 135 meters tall and has a diameter of 120 meters. 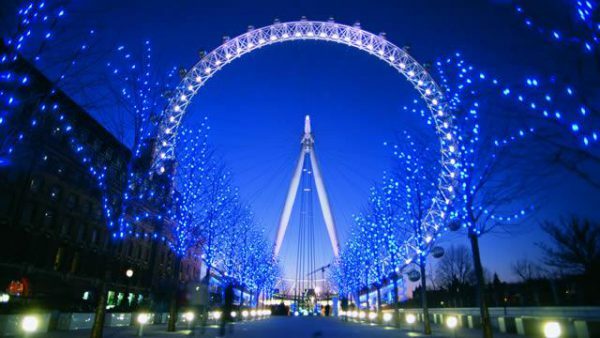 The observation wheel is considered as London’s Eiffel Tower counterpart, giving you a perfect view of London. A definite must visit. 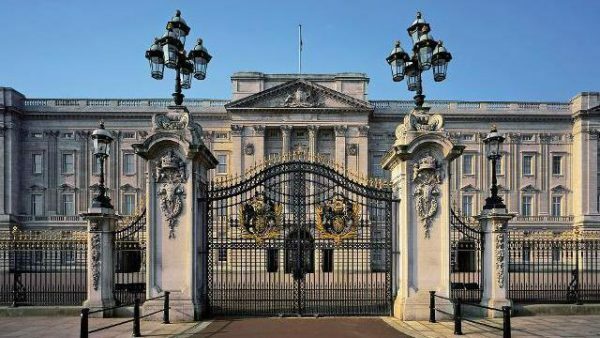 The official residence of her majesty the queen. You can explore the extravagant state rooms, the beautiful garden as well as have a chance to see the special exhibition: the 70th anniversary of Prince of Wales. The palace is open to visitors from July 27th to September 30th. The typical British cuisine is known as fairly average and simple. You have the Shepherd’s pie, a pie made out of potato crust on top, and below the crust the pie contains peas, meat, rice or chicken. We also have the Tikka Masala, an original dish invented by British Indians which became a symbolic british dish. Finally, the classic and popular fish & chips are available all over the UK and a must try dish due to how symbolic it is with the British culture. Apart from the British cuisine, we also have a broad choice of international cuisines at our disposition as well. For example in Chinatown, we can visit the best Chinese restaurants available as well as many Indian, Japanese, Spanish, Arab, and Persian cuisines. In overall if there’s one thing London has, it’s definitely delicious food! Probably it’s safe to say that this is London’s best restaurant ever. The food is beyond anything you might’ve tried such as the Salmon Ravioli or the Suckling Pig. 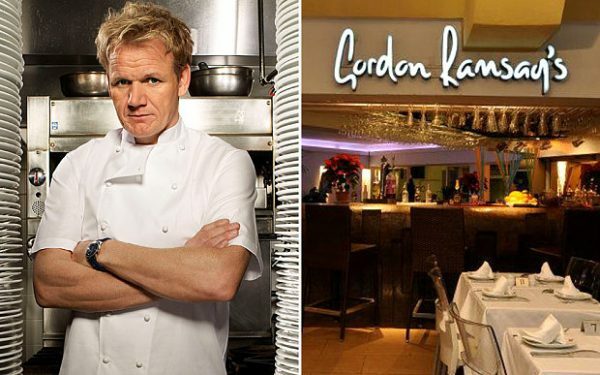 The sheer creativeness of Gordon Ramsay is clearly demonstrated in this restaurant and if you ever get an opportunity to go out with your family or friends for a fine dining experience, then the Gordon Ramsay experience is a sure way ticket to satisfy you. One of the tastiest Chinese restaurants ever. 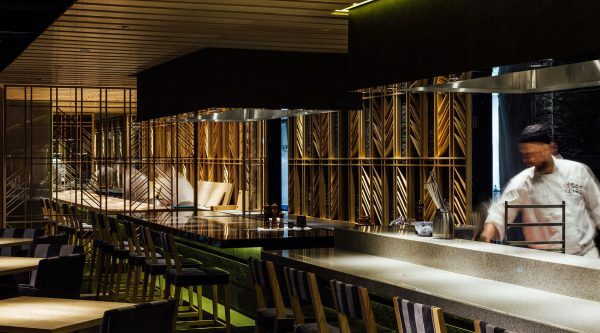 From the delicious Chinese spare ribs, the amazing sweet and sour dishes to perhaps the tastiest Beijing duck, this restaurant has an excellent state of the art food, service and ambience ready all for you to enjoy. 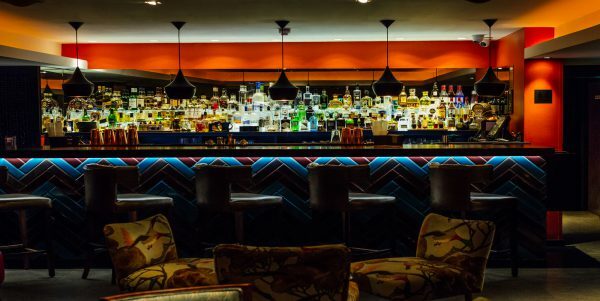 This restaurant is simply amazing; it has Indian food that is so delicious that it will make you wonder whether you are really in London or in India. 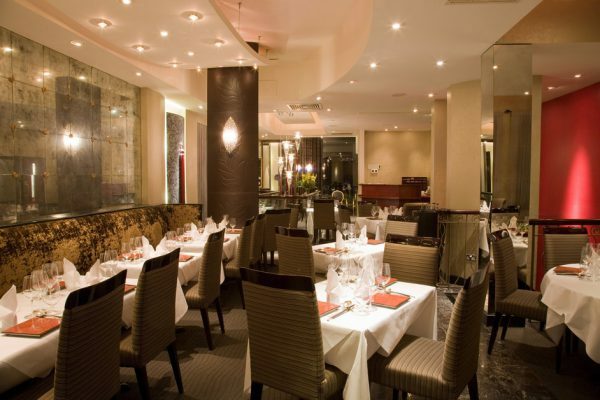 The service, ambience and friendliness of staff demonstrate clear professionalism, care and attention that have eventually led this amazing restaurant into acquiring its Michelin Star. Ginza Onodera is probably one of the tastiest Japanese restaurants you will ever find not just in London, but the whole world! The Teppanyaki, Sushi, and Maki rolls are cooked so well, you will practically want to order more and more completely forgetting about your bill. All in all, if you are a Japanese food lover, then this is the restaurant you will be visiting firsthand. 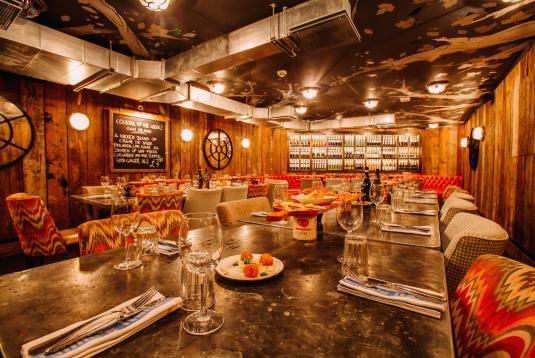 A restaurant belonging to celebrity Chef Jamie Oliver. The restaurant is simply beyond amazing thanks to its super creative Italian dishes and presentation that is above excellent in every term. If Italian food is something that means a lot in your life, then Jamies Italian is your number 1 stop! N.B. Please have your application ID number ready – this appears on all correspondence or in the applicant portal.